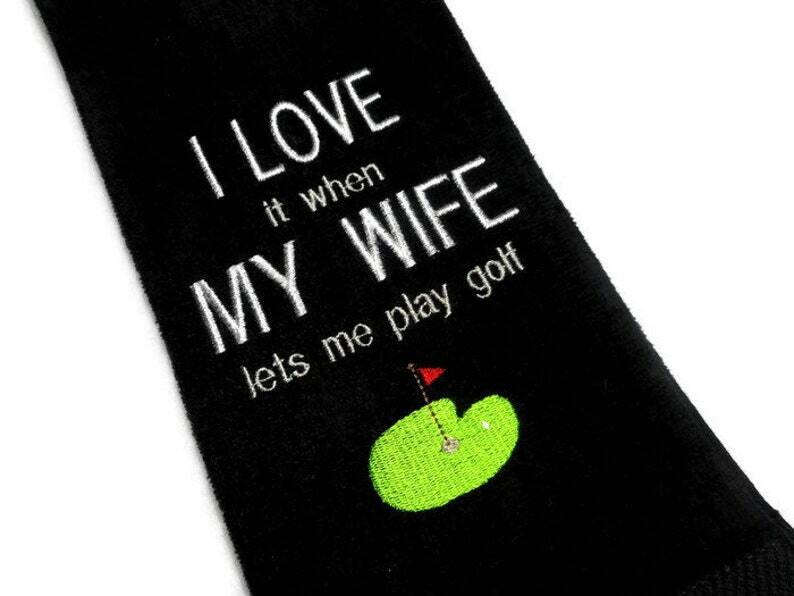 Golf towels make a special gift for the golfer. This all cotton velour golf towel is a great birthday, Father's Day, groom, or retirement gift for the golfer. Very nice quality golf towel made of 100 percent premium cotton with plush velour finish. Below the text is a golf green. Design will measure approximately 6.5 x 5 inches. Also available in navy and forest green. I love custom orders and will be glad to work with you if you have a special design, or saying, you're interested in.